Across the United States there are several high school football hotbeds. Texas, California, and Florida are traditionally home to top high school football prospects, which is why most college football powerhouses practically have scouts living in these states. Football fans living in Texas, Florida, or California are blessed with high quality live entertainment every weekend usually for under $10. As a person who grew up in Texas, Houston to be exact, and went to a high school where football is “KING”, I know, up close and personal, how much Texans love their football. If you go outside the big cities like Dallas and Houston into, what we call, the country, the love for high school football turns literally into fanaticism. 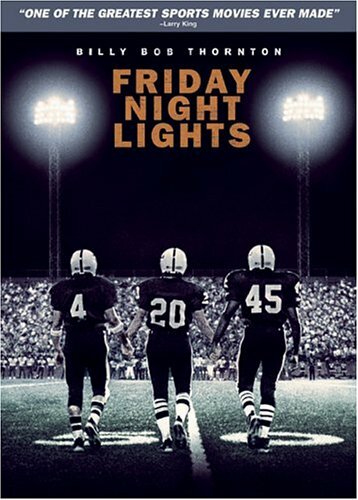 The movie Friday Night Lights highlights how crazy a small town can get about their football. In Texas the high school football playoffs usually start in November and will usually end in late December. As teams get deeper into the playoffs games are usually hosted in NFL stadiums like the Astrodome or Texas Stadium, or more recently, Reliant Stadium or Cowboys. Also as more high school playoff games are featured in the bigger, professional stadiums the more games that the fans get to watch for the price of one ticket. During the playoffs, you could actually see about four full games starting at noon. The year 2001 was a great year for both North Shore and Madison football teams. North Shore was ranked number 1 in the state of Texas and number five in the nation according to USA Today. However, Madison had the nation’s number high school prospect Vince Young and his sidekick Courtney Lewis. Being a Madison High School alum I had always followed the team, but 2001 was a very special year. I was actually witnessing greatness. During my years in high school we had great teams but the offense was limited to a running attack. Now for the first time in my life I am seeing an all out air attack thanks to Young’s passing ability. I know many people who watch the NFL are like VY can’t pass. Contrary to what you may believe, he passed often and he passed well in high school. Below are some of Young’s high school highlights which showcases his running and passing ability. Moving on to the contest, this was a third round playoff game and the winner would go on to play for the regional championship or state quarterfinals. The game was played in the Houston Astrodome with over 25,000 in attendance. In addition to the regular spectators, many college coaches were in the building from schools like the University of Miami, University of Texas, and Florida State. There was a lot of tension and build up for this game. I actually felt like I was getting ready to watch a boxing main event and, of course, I was pulling for Madison to upset the number 1 ranked school in the state. The game started off at a furious pace with both teams scoring back to back to back. Now I knew my team had a high powered offense with VY and Courtney Lewis, but my goodness North Shore had two running backs that seemed like they were getting 15 yards a carry. I later found out that these two guys were Kevin Moore, a speedy big back, and Harrel Ester, a 220 pound beast. I remember thinking to myself that if Madison does not figure out how to stop these two guys we are going to lose. The reason I thought this is because Madison was scoring too fast and North Shore, who weren’t really passing, were using up clock with their superb running game and answering with scores of their own. Young started the game out with two rushing TD’s but at the end of the first quarter North Shore had a 14-13 lead over Madison thanks to two scores from Harrell Ester. With a little over 9 minutes left in the first half Young struck back with a 21 yard touchdown on a fourth and short. He followed that up with a 2 point conversion and Madison now were leading by one touchdown. About 2 minutes later scored touchdown thanks to a 67 yard throw from North Shore quarterback Willie Gaston. Four plays later, Madison would answer with a touchdown of their own, courtesy of a play-action roll out pass from Young to Lewis. Then Kevin Moore joins in with a 35 yard rushing score. At this point, it seems like the last team to have the ball is the team that will win because you definitely can’t count on the defenses to make any stops. With the score tied at 28, North Shore catches a break when they are able to score a touchdown off of a Madison turnover. With a little over 4 minutes left in the first half North Shore has a 35 to 28 lead. Three plays later, Courtney Lewis scores a touchdown from 29 yards out. After a North Shore fumble, Madison was able to score on a 42 yard touchdown pass from Young to Bennie Swain with a little under 2 minutes remaining in the half. At the end of the dramatic first half, the score was 41-38 in favor of Madison. The offensive exhibition displayed by both teams in the first half has resulted in 719 total yards of offense. The lead had changed several times and it seemed like both offenses were virtually unstoppable. The key in the second half would be ball control and a little defense please. After all of the offensive fireworks in the first half, it seemed like both defensives made a few adjustments. In this half, the big plays were cut to a minimum. This half highlighted scoring drives of 10 plays or more as opposed to the quick scoring strikes we saw in the first half. Madison’s high powered offense, which needed only 14 plays to score their last five touchdowns in the first half, took 32 plays to score its last three touchdowns of the game. The second half opened up with a rushing touchdown from Kevin Moore which gave North Shore a 44 – 41 lead. Madison answered with a touchdown on the ground and in the air both courtesy of Courtney Lewis. At this point the score is 54 -44 with Madison leading. Then North Shore counters with a 13 yard rushing TD from, of course, Kevin Moore. Yeah this Moore guy was raising all types of hell all night long. Everybody on Madison’s side, including myself, is now looking at the clock because we know that this Moore kid will not be stopped, period end of sentence. Madison is still nursing a 3 point lead going into the fourth quarter. A critical play sealed the deal for Madison. The coach for Madison decides to go for it on fourth down and short on the North Shore 48 yard line. Lewis was able to get the first down. He was also able to cap off the drive with a 21 yard touchdown run. Madison is now leading North Shore 61-51. North Shore is able to score one last time but it is a little too late. The final score of the game was Madison 61 and North Shore 58. After the dust settled, both teams had racked up over 1100 yards of offense in one game. Madison had over 530 yards of offense while North Shore racked up a little of 600 yards in offensive output. On the Madison side, Vince Young finished the game with 177 yards passing and 192 yards rushing along 3 TD’s in the air and 3 scores on the ground. Courtney Lewis added 129 yards on the ground with 5 TD’s. On the North Shore side Kevin Moore accounted for 291 yards on the ground and three TD’s. I was definitely estatic because the team I was rooting for, my alma mater, came out victorious. But the way that they won made it all the better. This game was like Ali and Frazier's "Thrilla In Manilla" with all the dramatics. Growing up in Texas I have seen a lot of great high school football games but this game that I had just witnessed was, by far, the greatest high school football game I have seen. Not surprisingly, I am not the only person that feels that way. If you type in "Houston Madison versus North Shore 2001 Football Game" into Google in the search engine results you will see best game or greatest game. Just got the wife interested in the Friday Night Lights series, being from Australia, she is just shocked at how football is a religion in Texas. Thanks for commenting. Yes football is a religion. There was a movie called "The Express" and Syracuse was playing University of Texas the head coach for Syracuse had to explain to his players what football is to Texans. He wanted them to really understand what they were getting into when they travelled to Texas. 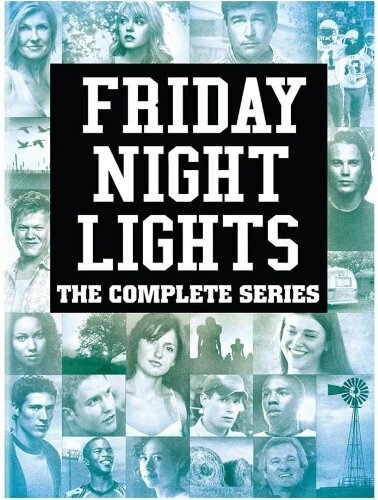 Tell your wife to check out the movie "Friday Night Lights" first if she hasn't done so already. Do any schools play American football in Australia? Funny thing, we just watched the Express, good movie! I have been here for nearly two years and they have ads on TV to play, but we live in a very small town hours from a big city, so only rugby and Australian Football played here, Funny thing, their high schools don't have sports, it's something done through clubs in each city, bit different, but it works and gets the whole community behind teams.